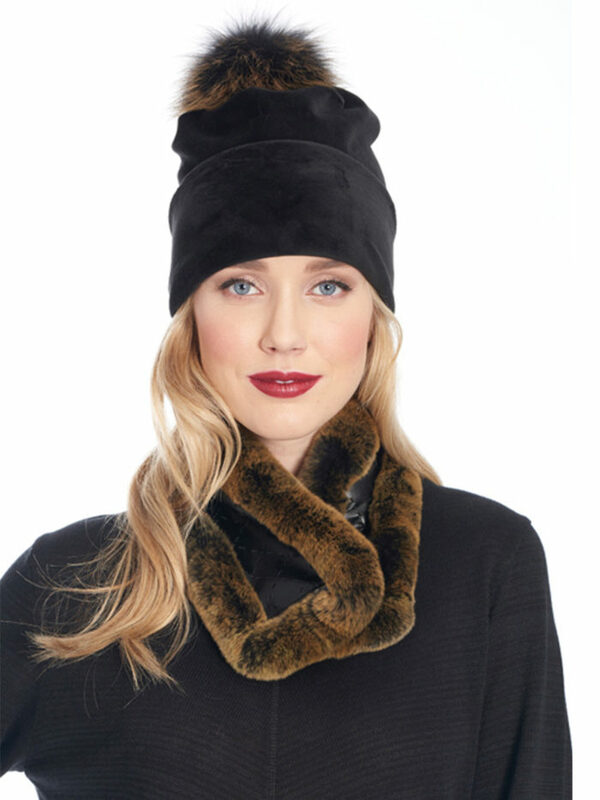 Add a little more warmth and style to any of your favorite sweaters or hoodless jackets with this hooded fur-trimmed scarf. 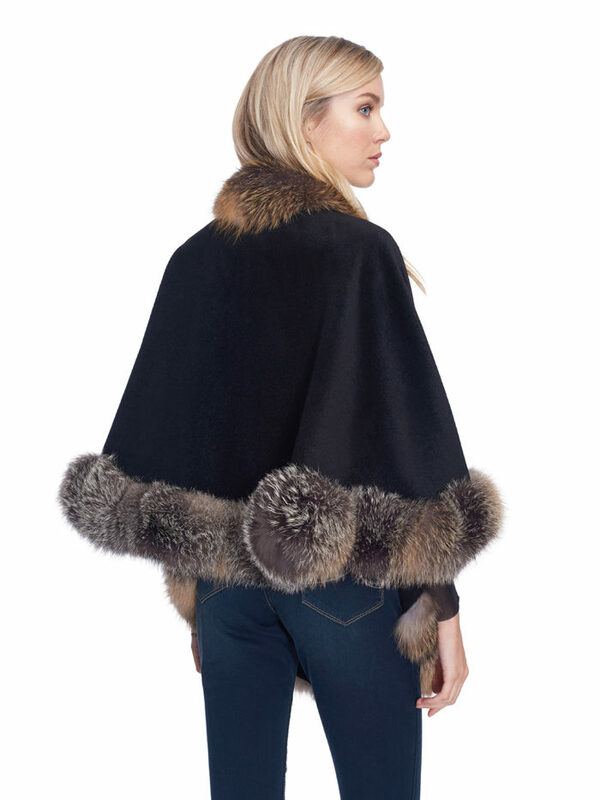 With many features that other scarves wish they had, this one is even complete with a front leather zipper to keep you feeling extra snug and secure. 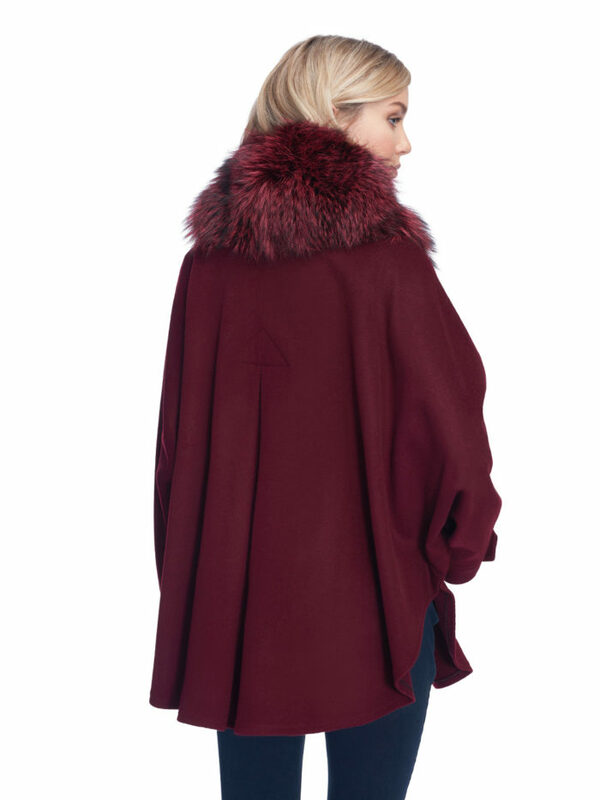 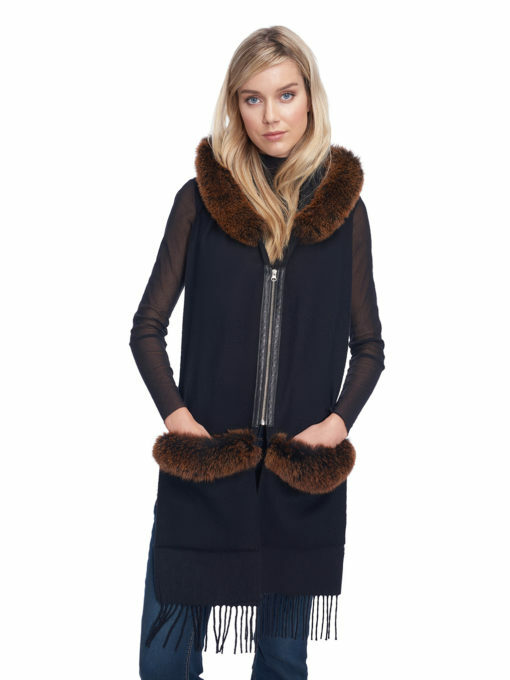 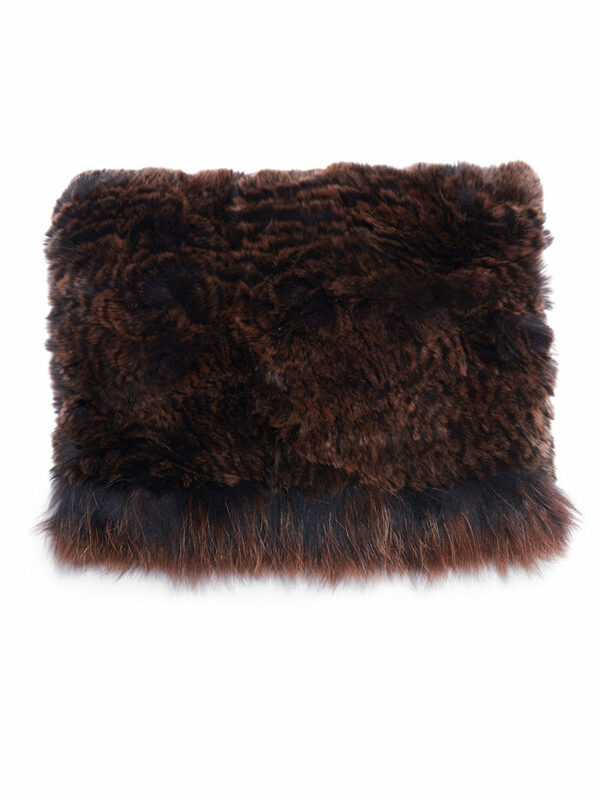 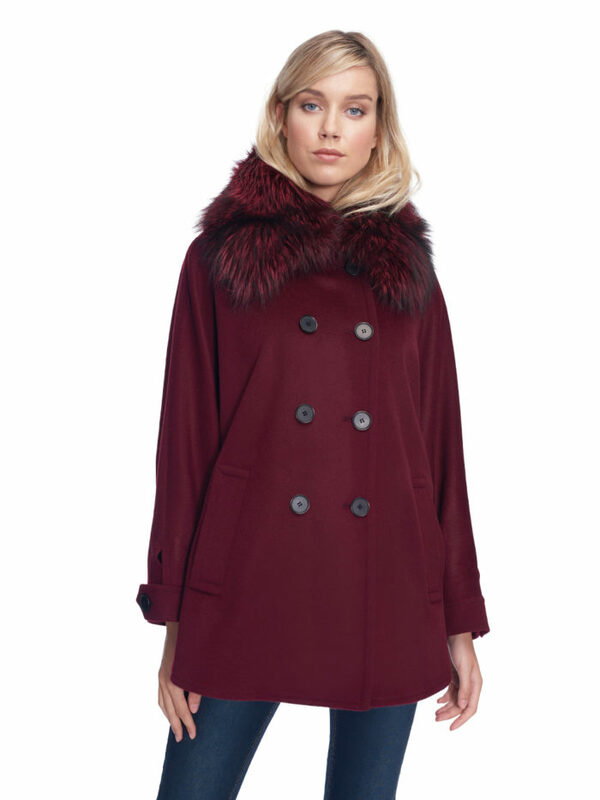 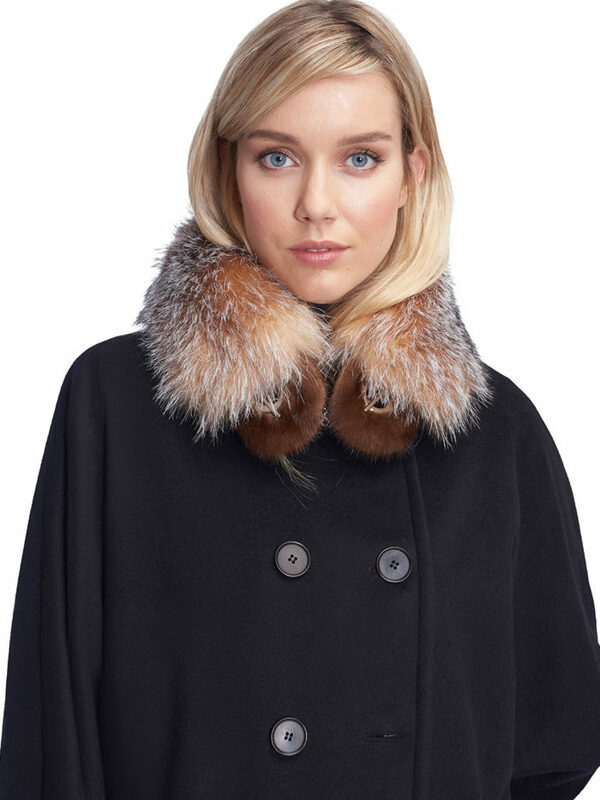 When wearing this scarf you will definitely make a striking statement with the silky fox fur trim around the hood and pockets.